A festive favourite that is sure to warm hearts and send the very best of seasons greetings this Christmas. 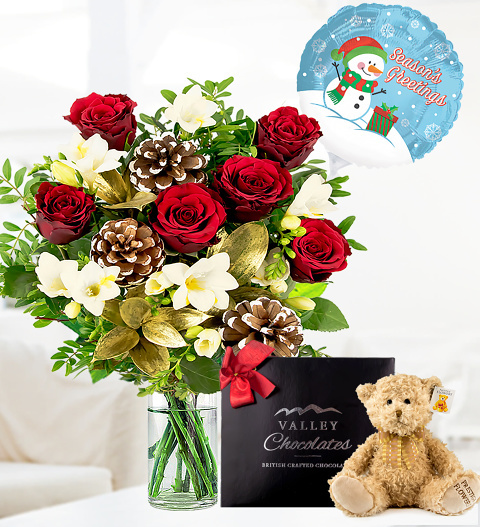 Also included is a gorgeous teddy bear named Noah, a delicious box of British made chocolates and a festive balloon. Chocolates may contain nuts.